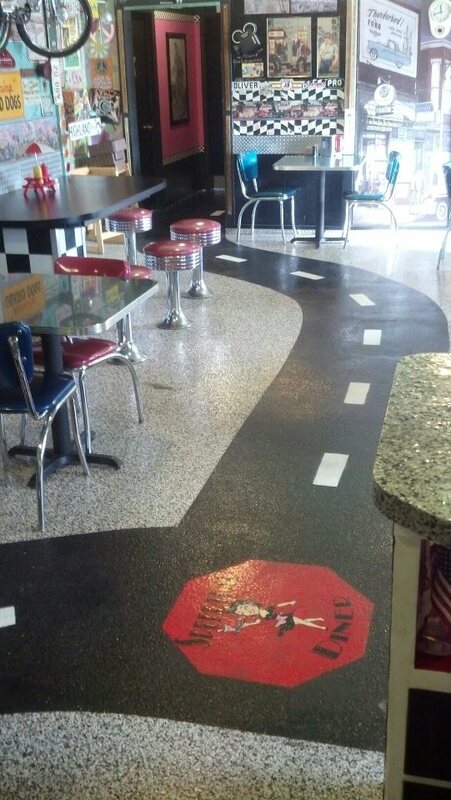 Welcome To Speed Trap Diner! We specialize in home cooked foods that make you happy and we know that you'll love our funkadelic ambiance that's served free with every meal! I just met the most beautiful woman in ohio!!!! Sam is an incredible diner owner...who not only has a great place...her food is outta the park...great atmosphere solely created by her own design...this is the place to be on a warm summer night...fifties theme...can't wait for a cruz night..
Its really simple to describe..... because there aren't enough words in the dictionary to even remotely tell you how wonderful this place is. Plus the rating needs to add more stars. From me it gets more then just 5 stars... It gets a million stars! You get great food, great service, great vibes all around. So yeah bottom line. Stop in you wont regret it. You will be telling all your friends and family about Speedtrap Diner all because once you walk in its not a place you will EVER forget! Much love to the Speedtrap Diner! On a road trip, my grandfather and I stopped in for something to eat. The food was great and reasonable. The decor is extremely charming and it feels like your back in the 1950's. When passing by I will stop again for sure! I love this diner! The food is excellent and the service is great. The decor is truly unique. I've been here over a dozen times and I still haven't seen everything there is to see. I highly recommend this diner.